Nostalgic flavor, thin and crispy texture. Our Maine Maple chips are tossed with a blend of real Maine maple sugar and fine ground Maine Sea Salt to create a subtle but spectacular salty, sweet and crunchy snack. Vintage Maine Kitchen makes small batch chips the way old New England family chippers always have. We source only the finest Maine grown spuds, slice 'em wicked thin and fry 'em til they're crispy. 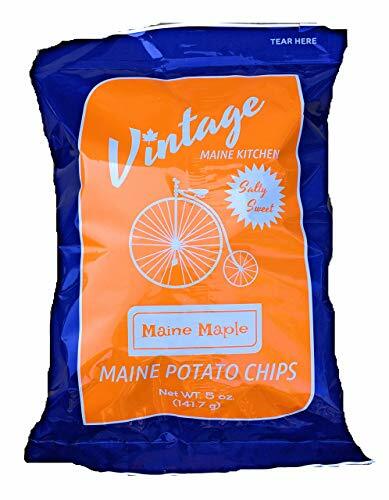 This package includes 5/5oz share bags of Maine Maple Potato Chips.